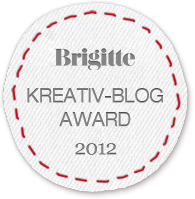 Brigitte.de is looking for the most talented DIY enthusiast in the blogosphere! They are looking for authors of creative blogs who present their own modern DIY ideas and completed projects in a visually appealing way, with well-thought-out instructions written in a coherent manner. 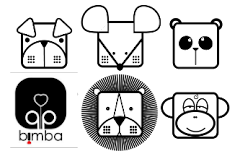 Starting February 2012 the Jury will choose three most inspiring blogs every month and announce them on the 1st of the following month. Nominees will then have two weeks to submit a new DIY idea to be presented on brigitte.de. AT the end of 2012. three winners will be announced. First prize is a chance to style a major DIY story with the editorial staff for the BRIGITTE print edition.